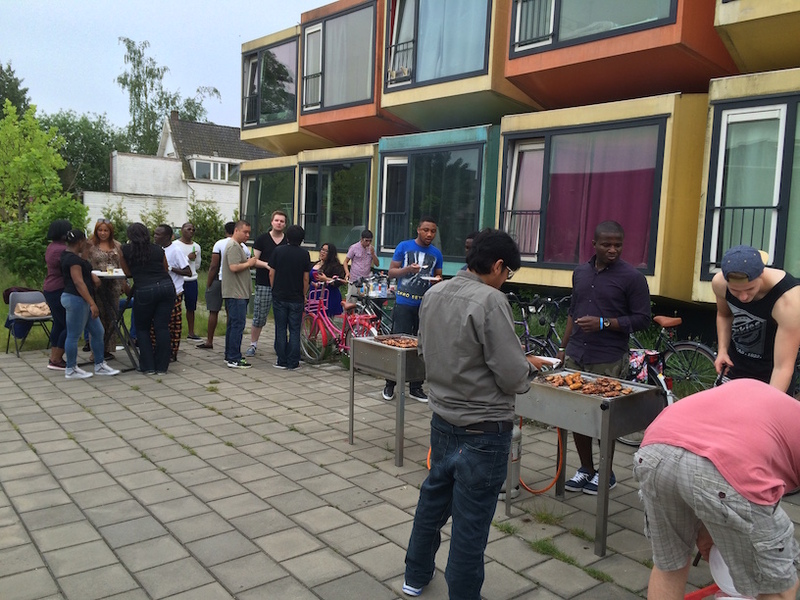 Wittenborg Students enjoy a barbecue during the first day of 30 degrees heat! 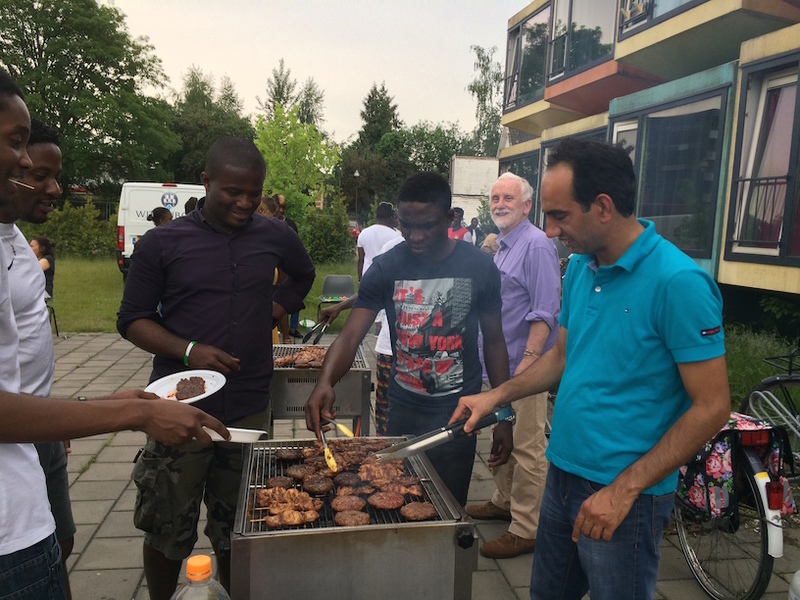 More than 60 staff and students spent the evening enjoying a barbecue at the SpaceBoxes, Wittenborg's colorful student housing units situated in the centre of the town. The weather was perfect, blue sky, sun and an un-typical 30 degree temperature - just the way to start a weekend after a hard week's study in block7, the last block of the academic year. Wittenborg University has a Student Representation, the "student reps", who also organise events for students throughout the year, including social events such as barbecues - supported by Wittenborg's Front Desk Team! Wittenborg is recruiting Student Reps for the academic year 2015-2016. Each programme/phase has at least one rep, who is part of a group of student representatives who meet with the Wittenborg Management every 3 weeks to discuss on-going issues and developments related to education, student support and programme-development. The student reps also reflect on non-education issues such as housing and student welfare. If you would like to represent the university to external parties, be involved in the development of Wittenborg and support your fellow students through the Student Reps please send an email to frontdesk@wittenborg.eu.